In some Dallas neighborhoods, buying a house is as frenzied as shopping the day after Thanksgiving. To get a deal, you often have to be in line when the doors open. That’s what Jake and Jessica Simpson found this spring when they were house-hunting. “A house we were interested in would go on the market at 7:30 in the morning and by noon it’s under contract, ” Jessica Simpson said. “We had trouble getting in to view a house before we could even put an offer. The number of preowned homes for sale in the Dallas area this spring is at a more-than-20-year low. And supplies of new houses on the market are a fourth of what they were before the recession. In many Dallas-area neighborhoods, there is less than a two-month supply of houses available to purchase. A normal “balanced” market is considered to be about six months of inventory. 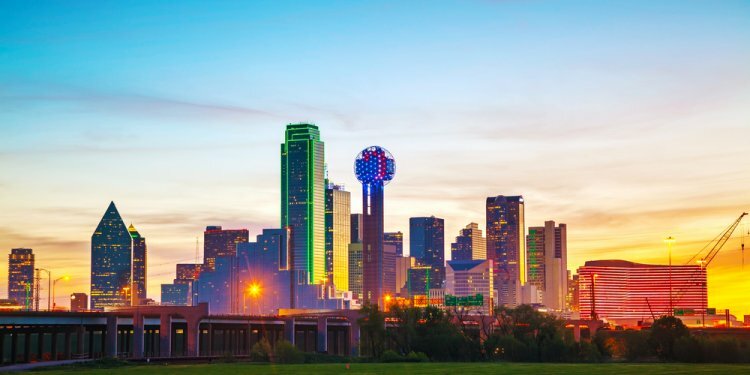 With thousands of people coming to North Texas to take jobs for major companies including Toyota, State Farm and Liberty Mutual Insurance, getting here won’t be as difficult as finding someplace to live when they arrive. Mike Fink, who’s relocating his family from Southern California to the Dallas area, just contracted to buy a house in Plano. “We were the first people to see it, ” said Fink, who works for a major high-tech firm. “We bid on one and lost out the day before. Fink said he knew the Dallas-area housing market was hot but still wasn’t ready to deal with the short supply. In Plano and Frisco, it only takes about a month on average to sell a preowned home. That means the property is under contract almost as soon as it hits the market. There’s less than a one-month supply of houses listed with real estate agents in Plano. And only about a month-and-a-half of inventory is available in Frisco.